July is almost a wrap; the month Americans call “the dog days of August” is at hand, and many adults are searching for ways to keep the attention of hot kids until the traditional school year starts. What’s an instructor to do? 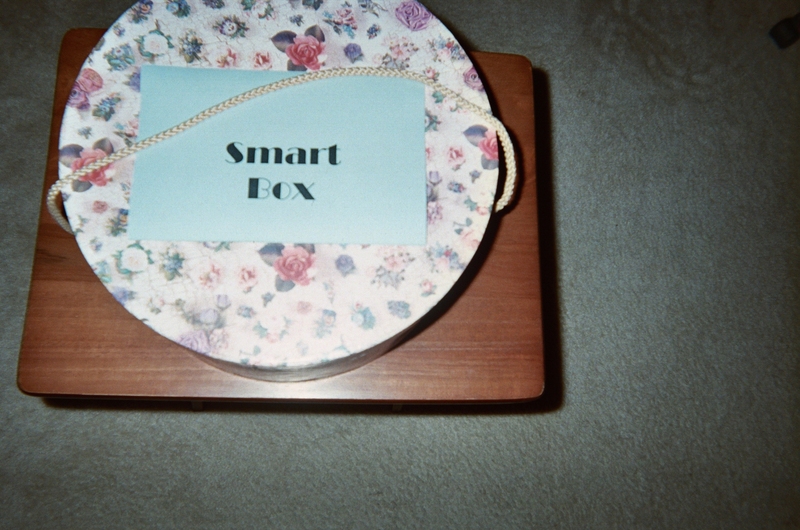 Grab some attention with a Smart Box! Kids love boxes; it’s easy to see why – boxes usually have surprises inside. Then there’s the giddy rush of anticipation a child feels as he or she lifts open the box top to discover the interior contents. Today is a gift; that’s why it’s called the present. Surprise your student group with a Smart Box and tell the kids that you want them to take advantage of the present to learn something new and useful, something important; you want them to know that it’s fun to be smart! How do you make a Smart Box and what do you put in it? Ahhhh…the possibilities are endless…”Dwell in possibilities,” as beloved American poet, Emily Dickinson, wrote, and you can create contents to suit your subject or specific need. You can make one Smart Box for multiple uses. A Smart Box can be as simple as a plain old cardboard box with a lid or a store-bought decorative storage box and a simple identifying sign like the one in my blog photo here. Surprise your group with a Smart Box! Type, print and cut strips of colored copy paper with age-appropriate challenges and/or questions for your students to pick out of the Smart Box, take with them, and consider as everyone walks or hikes together. Carry the Smart Box with you and be sure to have pencils on hand so that the kids can write down what they discover. One paper strip, for example, might ask kids to look for an orange butterfly – a Monarch – and if they see one, note where it is. Is it near a flowering plant? (Monarchs love Milkweed.) Remember, you can adjust questions to suit the group’s level. * The Ready-to-Start Kindergarten Smart Box – If you or a colleague (my blog ideas are for sharing) work with pre-school children, a Smart Box can help kids get ready for a very big day. Place basic school supplies in the Smart Box, like cut out letters, that are part of what the children will learn when they enter Kindergarten. As kids take turns picking out letters, pencils and paper from the Smart Box, show how they will use them to write and form their names, etc. Smart Boxes are a simple smart tool for catching and keeping children’s attention in a world that puts a premium on entertainment. 2 Pings/Trackbacks for "Grab Attention with a Smart Box"